SHORTLISTED FOR THE 2016 GORDON BURN PRIZE CHOSEN AS 'BOOK OF THE YEAR' BY Observer Guardian Telegraph Irish Times New Statesman Times Literary Supplement Herald When Olivia Laing moved to New York City in her mid-thirties, she found herself inhabiting loneliness on a daily basis. Increasingly fascinated by this most shameful of experiences, she began to explore the lonely city by way of art. Moving fluidly between the works and lives of some of the city's most compelling artists, Laing conducts an electric, dazzling investigation into what it means to be alone, illuminating not only the causes of loneliness but also how it might be resisted and redeemed. Olivia Laing is a widely acclaimed writer and critic. 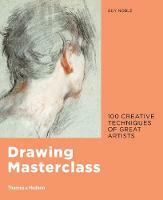 Her work appears in numerous publications, including the Guardian, Observer, New Statesman, Frieze and New York Times. She's a Yaddo and MacDowell Fellow and was 2014 Eccles Writer in Residence at the British Library. Her first book, To the River, was shortlisted for the Royal Society of Literature Ondaatje Prize and the Dolman Travel Book of the Year. The Trip to Echo Spring was shortlisted for the 2013 Costa Biography Award and the 2014 Gordon Burn Prize. The Lonely City has been shortlisted for the 2016 Gordon Burn Prize. She lives in Cambridge. 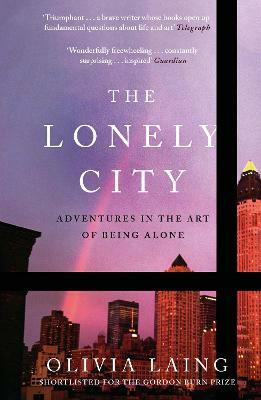 I saw this book and thought it would be an interesting angle on loneliness. The artists Laing chose were very relevant and who, apart from Hopper and Warhol, I had never heard of. Some of it was difficult reading as the stories of childhood abuse and hardship were really poignant but this, eventually, made them the artists they became. I would recommend the read for anybody interested in art history and biography. See loneliness through the eyes of Edward Hopper, Andy Warhol and the amazing Olivia Laing. Discover how art can be inspired by loneliness and also that being lonely is not a disease: you are not along in being lonely.